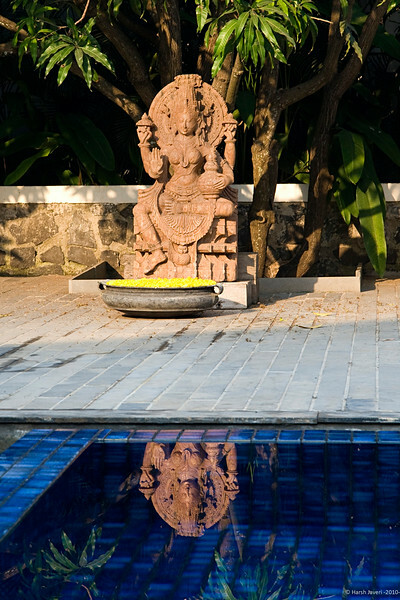 The statue with detailed carving and the leaves of the tree were reflected beautifully in the swimming pool at my friend's house. Best seen in Large size. Neat shot. I like the reflection in the pool. Excellent composition with great reflections. Lovely serene image.